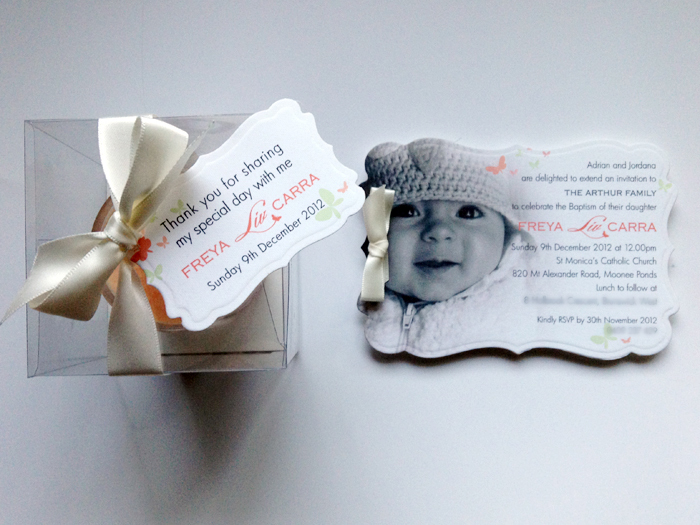 Jordana and Adrian wanted the invitations for Freya’s Christening to feature a picture of her, (no pink!) and were quite happy to leave the rest up to me! We decided on coral with a hint of green, which was carried through on the butterfly design, and even the handmade soy candles, courtesy of Angelic Candles, were coloured to match!